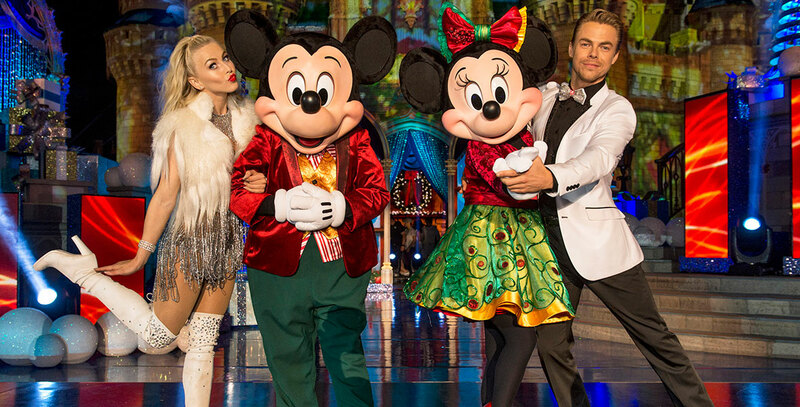 Wonderful World of Disney, The: Magical Holiday Celebration (TV) Julianne and Derek Hough hosted a two-hour musical special from the Walt Disney World Resort, kicking off the holiday season and showcasing music performances, special appearances, and some special Disney magic moments. Aired on ABC on Thanksgiving Day, Novemer 24, 2016. Guests included Trisha Yearwood, Garth Brooks, and Kelly Clarkson. Another show aired November 30, 2017, hosted by Julianne Hough and Nick Lachey, with co-host Jesse Palmer and guests including Ciara, Darius Rucker, Fifth Harmony, and Hanson.